I love vintage maps and just the other day I discovered this amazing resource called the David Rumsey collection and immediately wanted to do some projects utilizing the gorgeous vintage Atlases. 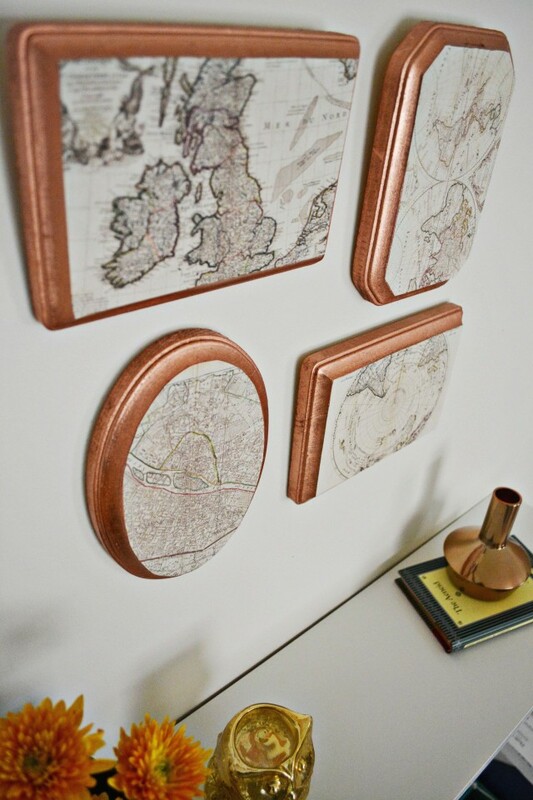 Pairing them with copper actually turned out quite nice if I do say so myself! The other great thing about this project is that you can add or subtract any number of wood plaques and mix shapes and sizes to fill any wall space you want! 1. 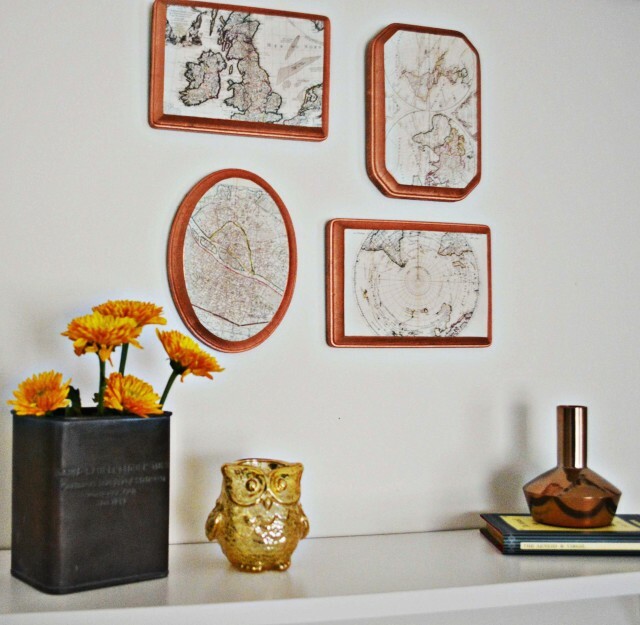 Lay out the wood plaques in the arrangement you want to hang them in. This helps me picture the final result! 2. 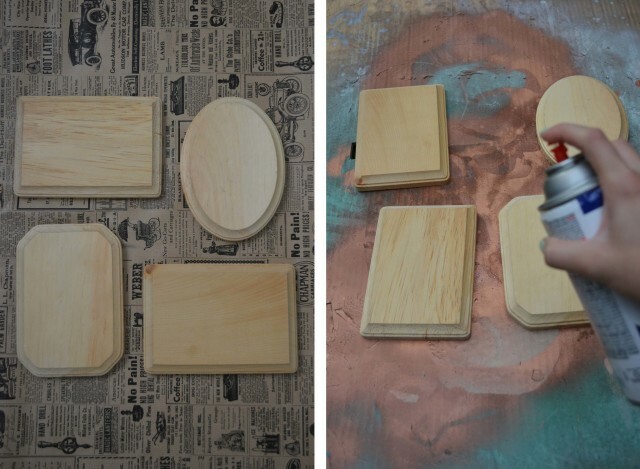 Spray paint the wood plaques. You can do any color at this step but I chose copper. 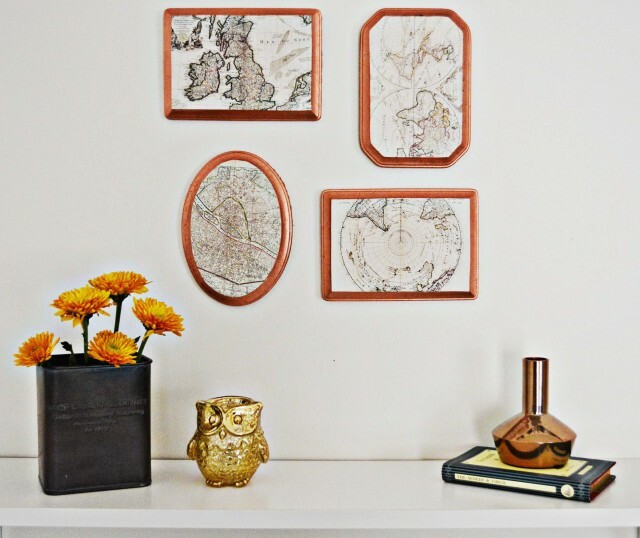 Or you don’t need to paint the plaques at all- just keep the natural wood or stain the wood. 3. Wait for the spray paint to dry. 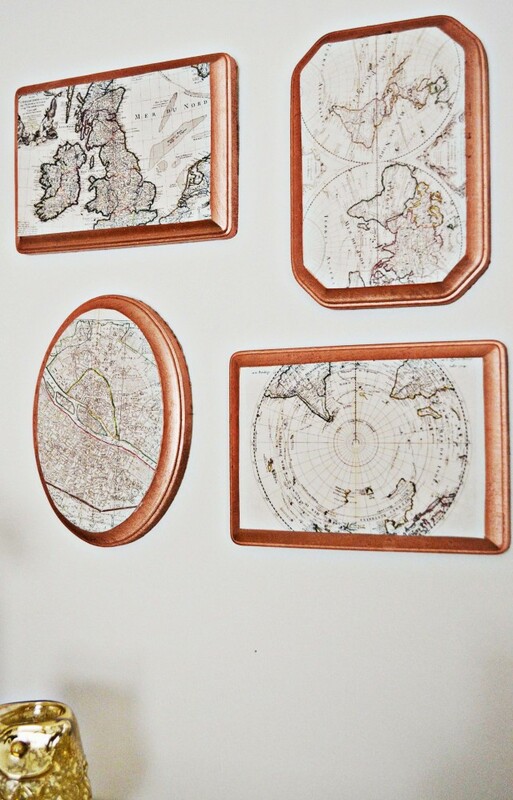 While it is drying, print out the vintage maps of your choosing. 4. 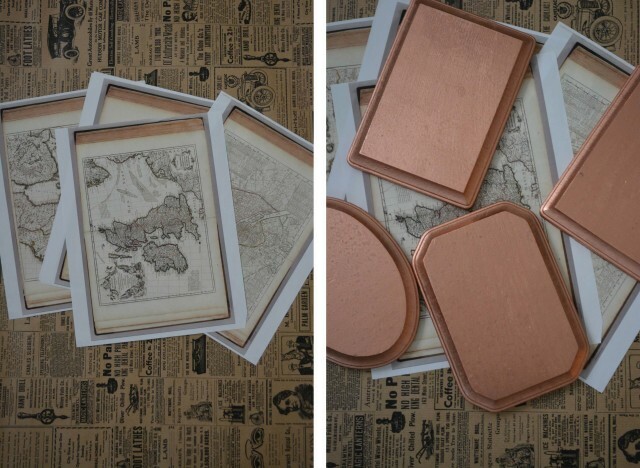 Place each plaque upside down on the paper and use a pencil to trace around. 5. 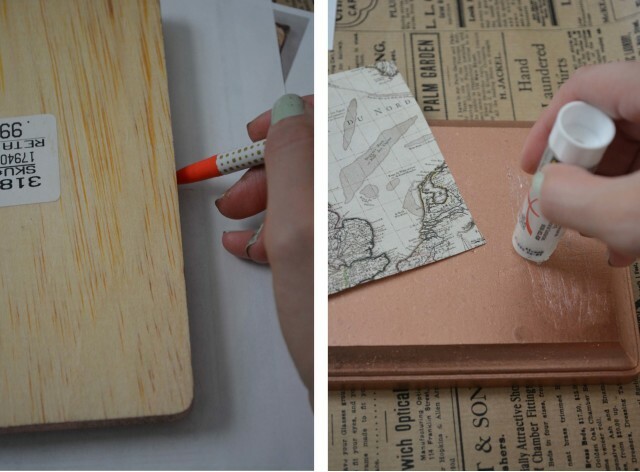 Cut out the paper and use glue to secure it to the wood plaque. I used a glue stick and it worked great! I’m really loving these! 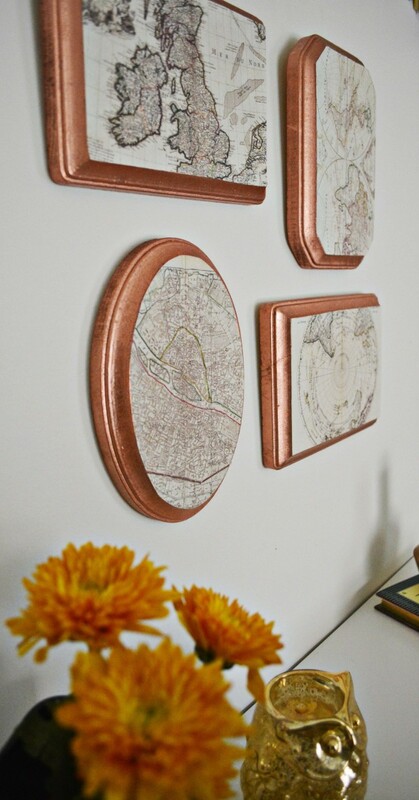 It would look fantastic in a large wall area and you could even buy the larger plaques that are about 10 inches if you had a larger space. 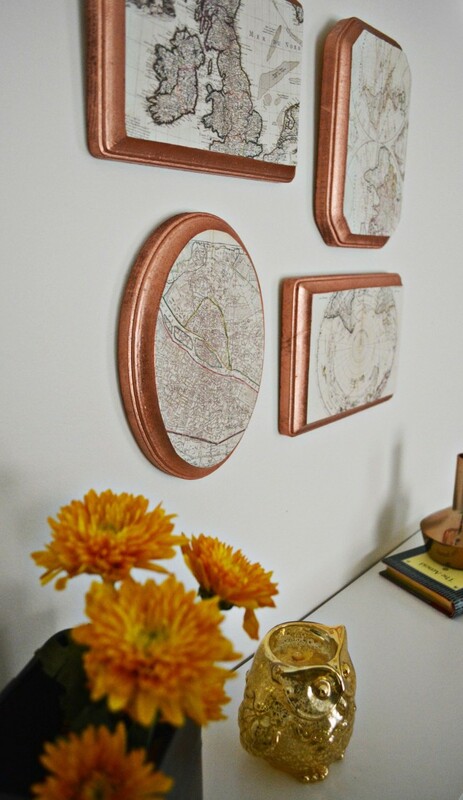 You could also customize the wall to be only a certain city/state/country say only vintage maps from various years of Paris! I can’t even tell you how much I love these!